Our diets are sacred to us. The instant someone talks “diet” does your guard come up faster than a drive -thru attendant asking to take your order? Do you have a your well formed idea about what your diet should be even if you don’t necessarily eat that way? Have you ever really thought about your diet goals? We can try to optimize our diets for just about anything: weight loss, body building, maintaining, endurance sports, CrossFit, and so on. What do our bodies need to slow aging? How do we age? Cellular breakdown. Free radicals are introduced to our body in a variety of ways including the process our body uses to create energy from our food. From inside out we call the cumulative breakdown… aging. On the outside we can’t do all the physical and mental tasks we used to do. A wrinkle here, a sag there, and things that used to be effortless require strain and some conscious effort. From a diet standpoint, if the very act of creating energy results in aging, what can we do? Plants are a good start. Plants make thousands of natural chemicals we don’t. Phytonutrients protect them from bugs, fungus and other things they can’t just get up and walk away from. When we eat plants, their phytonutrients help us prevent disease and keep our bodies working well. They are anti-cancerous, anti-inflammatory and have important antioxidants. Antioxidants are intimately involved in the prevention of cellular damage. They safely interact with free radicals and terminate the chain reaction before damage occurs. Literally every fresh vegetable and fruit is laden with phytonutrients and antioxidant compounds. If you eat a variety of fresh vegetables and fruit every day you will get all the antioxidants your body can put to effective use. With any diet, you need to ensure you are getting all the vitamins and minerals your body needs. While this can mostly be done with a variety of veggies, fruits, nuts, seeds and beans, with extra care placed on getting vitamin D, B12, calcium, and omega 3 fatty acid. 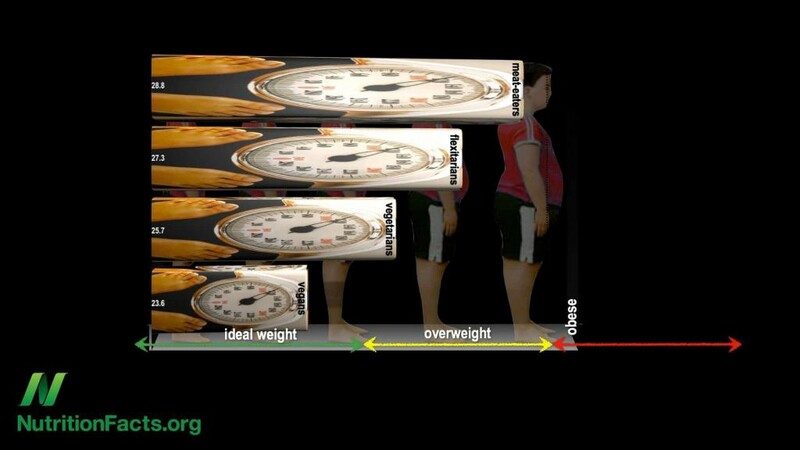 In addition to providing antioxidants, a Whole Food Plant Based diet puts us at our “ideal” weight! As a matter of fact, on average, it is the ONLY diet that does that! That is critical since extra weight speeds up aging. The bottom line is that all other things held constant, plants slow aging. P.S. Yes, they have protein too. I like the Campbells’ book The China Study. More specifically, I really like the experiments that speed up and shut off cancer growth based on the type of protein fed to rats. I really, really like that this can be replicated in labs everywhere. Rats are injected with cancer! Poor little guys. Then they are fed a diet of 20% animal milk protein (casein). The cancer spreads and the rats die by the end of the experiment. Repeat… This time give the rats 20% plant protein. Check in on the rats and they are alive, active and as happy as rats can be. Repeat again… This time with a mix-it-up. Feed them animal protein and watch the cancer grow. Switch the diet to 20% plant protein and cancer growth stops. Switch back and forth and witness the same effect. Critics can poke at the rat study so it is just as important to look at a practical application. Dr. Caldwell Esselstyn did the same thing on humans! He worked with 18 people with coronary disease (49 coronary events the 8 years leading up to the study) and switched them to a plant based diet. Those that stayed on the diet had NO coronary events for the next 11 years! Blood cholesterol dramatically improved from 246 mg/dL to 132 mg/dL and artery blockages were actually reduced. Not just surviving but back to thriving. When Bill Clinton was in big trouble with chest pains and a matching pair of stints what did the best doctors in the world do to keep him alive? More surgeries? Hell no. They fed him plants. Plants ability to keep us disease free goes well beyond this example. Dr. Michael Greger does a great job describing how plant diets prevent 14 top causes of death. They can treat most and even reverse some… including the top 3 (heart disease, cancer and respiratory diseases). Let’s talk turkey. Does meat curb disease? 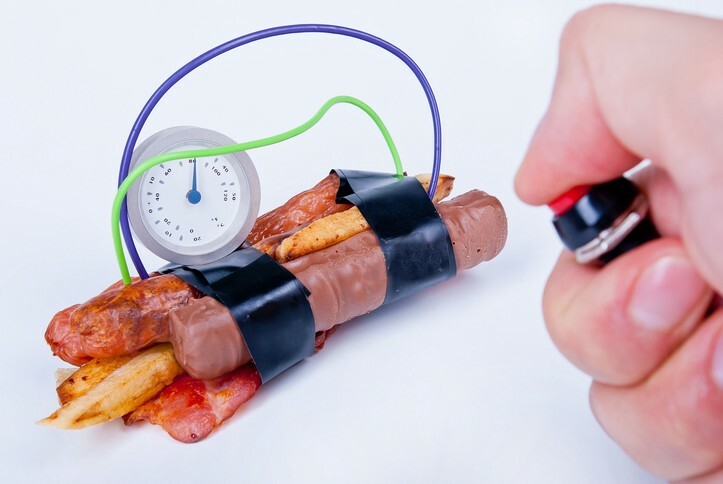 The International Agency for Research on Cancer (IARC) has classified processed meat as a carcinogen, something that causes cancer (think cigarettes). They classified red meat as a probable carcinogen, in other words something that probably causes cancer. Full stop. Meat has saturated fat which stimulates the liver to make more cholesterol. Yes, even chicken and turkey have a significant amount. Saturated fat clogs up your arteries, and raises cholesterol and blood pressure and leads to fat. Saturated fat has even been linked to breast cancer, Alzheimer’s disease, dementia, and cognitive decline. I didn’t set out to write a meat pounding article so I’m not going to get into all the hormones, preservatives and antibiotics found in most meat today. Suffice it to say, it’s​ not good. Just because a food is full of preservatives doesn’t mean it preserves us too. Does your diet have scientific evidence with repeatable experiments that show how it treats and reverses the diseases that lead to most deaths? What do groups that live the longest actually eat? Let’s take a look at the diets of those who actually live a long time. Not just your great aunt Emma who lived to be 95 by eating bacon every morning and smoking two packs of cigarettes a day. She is an outlier. Besides, genetics only account for 25% or less of how long you live — your choices account for the rest. The best place to start is to look for pockets of people who lived a long time and dissect their lives and diets. National Geographic reporter, Dan Buettner, pulled together longevity experts and did just that in his book Blue Zones. His team found areas with a high number of centurions (people who lived to be over 100) and studied everything about them. What did he find on the diet front? Overwhelmingly… plant based. That is not to say that people in these places never ate meat. Some did. When they did, it was for a special occasion including things like annual festivals. Not to bore you my friends, but there is a rabbit hole of information that dissects even those populations by diet. They compare meat, vegetarian and plant-only diets. Suffice it to say, on average the plant based diets ALWAYS come out on top from a longevity standpoint. Want to eat a paleo diet because that is what our ancestors ate? Go for it… but they weren’t exactly known for their longevity. Again, you can optimize your diet for many things in the short-term, but if you are interested in the long game can you find any populations or groups of people that lived a statistically longer life eating that way? Stack your diet against the three areas above and how does it fare? I have yet to come across a diet that isn’t 90%+ plant based that can come close from a longevity standpoint. But are they good years? In other words if they aren’t good quality, active, mindful years then who the hell wants to live them? Back to the Blue Zones. The centurions studied were full of life and vigor. They were quite active; walking, gardening, socializing and so on. These were NOT bed-ridden, sickly years hooked up to machines in a nursing home. Okay, but is the diet itself enjoyable or torture? One of my friends recently quipped… if you eat like that you may live a long time but you really aren’t LIVING. Solid burn! In my case I’ve found a wide variety of plants and an even wider variety in how they can be prepared (Maria-driven of course). Truth be told, I’ve never been a “foodie.” But since I switched my diet I’ve been much more tuned in to the food I eat, how it is prepared and how it tastes. With travelling, food is now part of the adventure instead of an afterthought. I’m always looking for grocery stores and restaurants that could have good plant fare. In short, I now get a lot more joy from eating and from my diet than I ever did before. Are the years gained good quality years? Physically, yes. The rest is up to you. Note: This blog is part of the good longevity series where we dig into each area that leads to or takes away from a good long life.